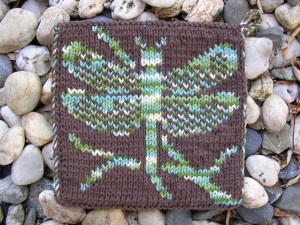 This is for my ex’s mom, who love dragonflies. 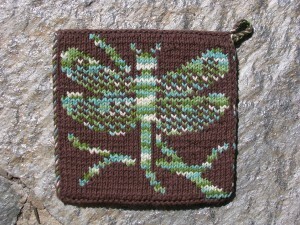 I like this one so much I almost hate to give it to her. 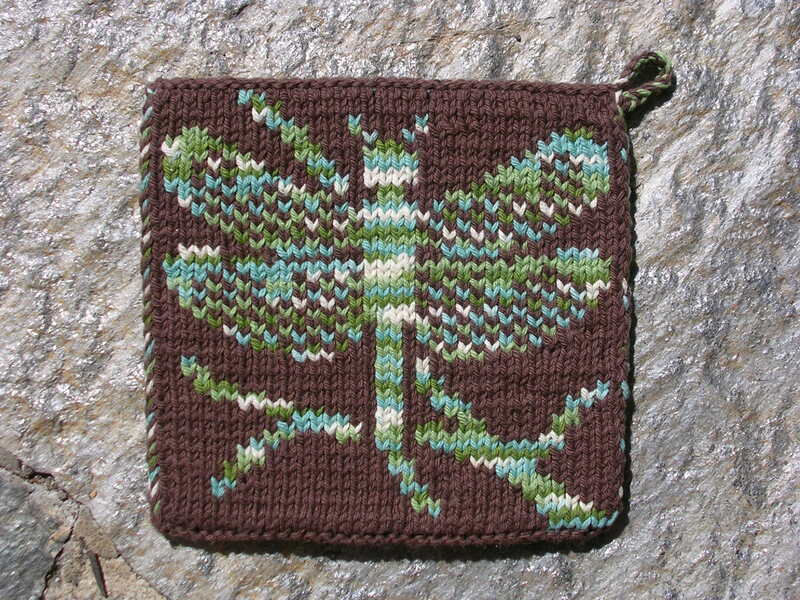 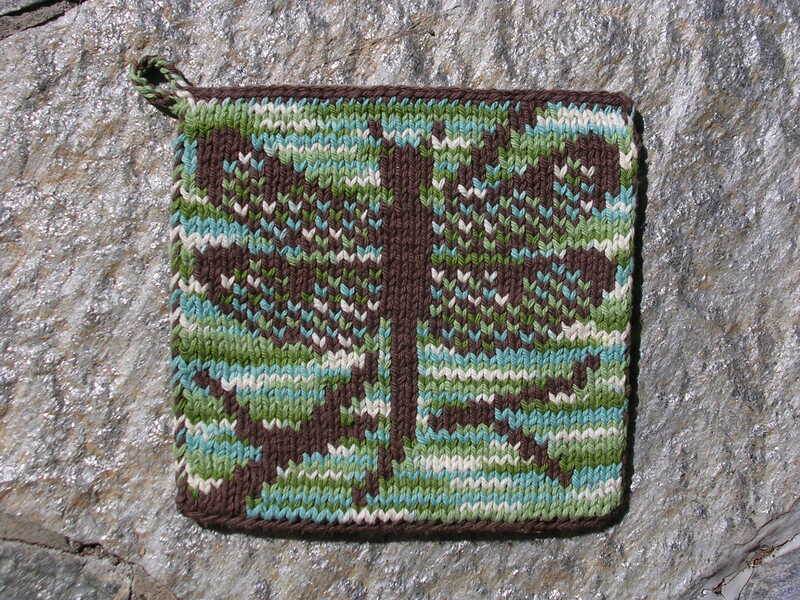 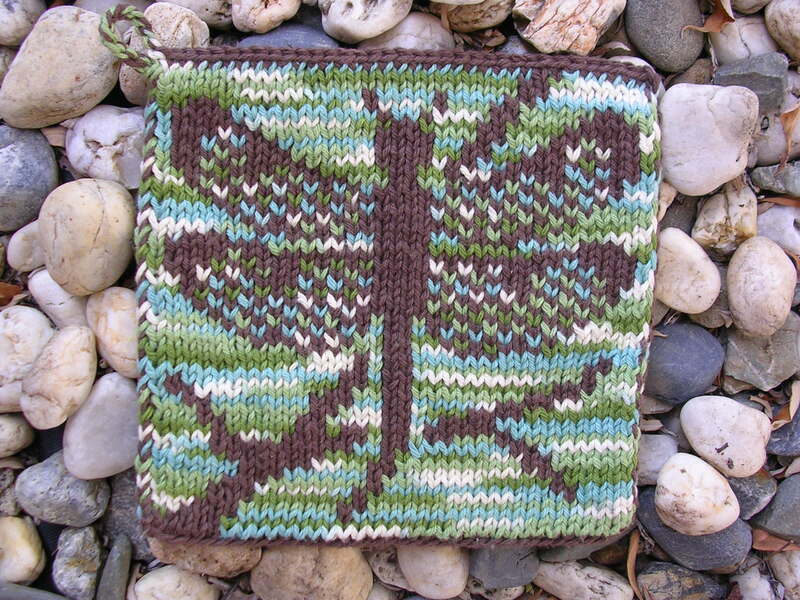 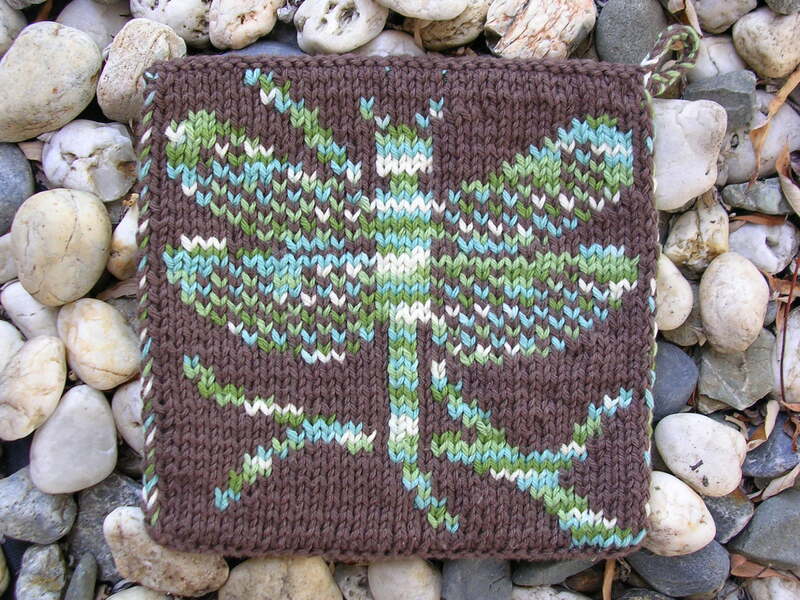 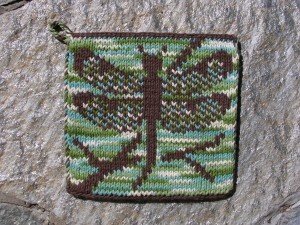 The ombre colors work great on this potholder and it sort of looks like a close-up of a dragonfly with a tranquil blurred water background on one side and the other just a lovely blue green dragonfly. 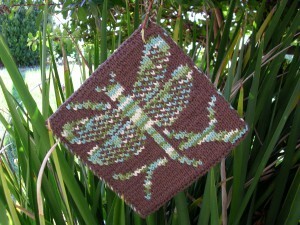 I just love these shades of blue & green. 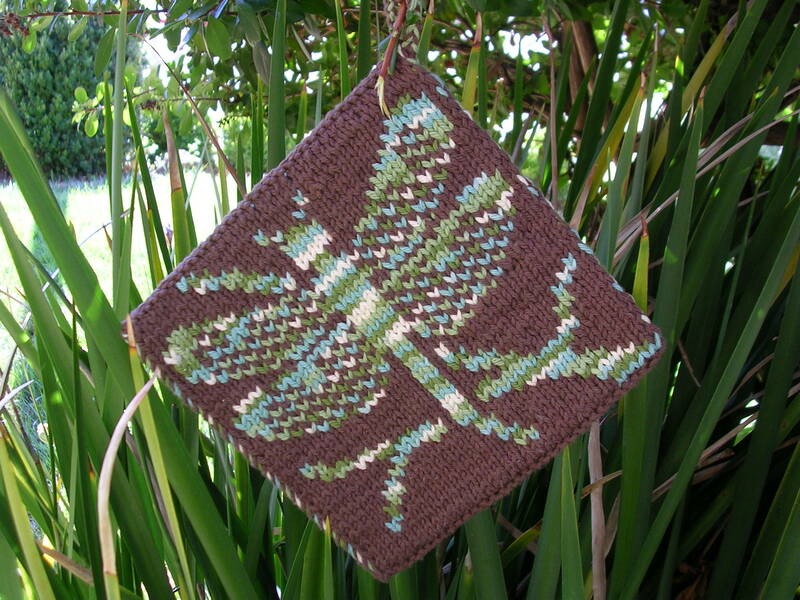 The ombre is Sugar’n Cream ‘Emerald Isle’ and the brown is ‘Warm Brown’. The first photos are pre-blocking, but I was just so excited to share.